The Counties our ancestors lived in were: Bütow, Rummelsburg & Schlawe are located in the upper right of this map. 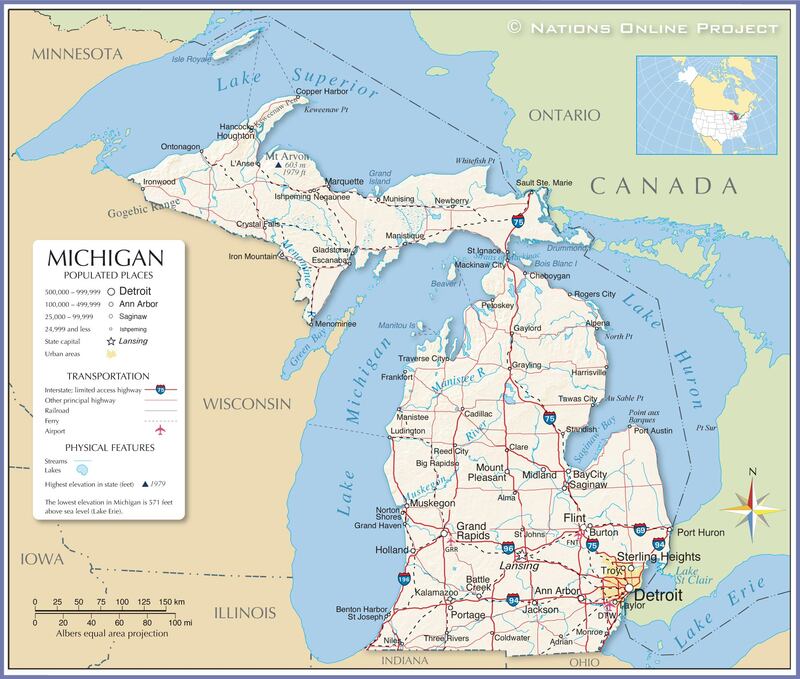 In the late 1800’s several of our Loraff, Reischke, Schultz, Tollas ancestors emigrated from the Prussian Province of Pommern located on the southern border of the Baltic Sea to Berrien County, Michigan, USA. Pommern was within the Kingdom of Prussia, that later became part of the German Empire (1871-1918). After WWII the counties where our ancestors had lived, Bütow, Rummelsburg, and Schlawe were ceded to Poland. For a description of these see Information on Pommern/Polish Locations at the end of this article. They emigrated to the United States from Bremen, Germany on the SS Nurnberg arriving in Baltimore, Maryland on 17 April 1885. They had twelve children; three died young in Germany. When they emigrated they came with three of their nine children. The others evidently came either before or after because all died in the United States. Great-Grandfather Martin was born 10 December 1831 at Peest, County Schlawe, Pommern. Great-Grandmother Johanna Henrietta was born 1 January 1840 at Viartlum, County Rummelsburg. After Martin and Henrietta married in 1859, they resided at Reinfeld, where all their children were born. Their daughter, Hulda Marie was my father’s mother; my grandmother. Family anecdotes relate that Grandma Henrietta was an acquaintance of Johanna von Puttkamer who became the wife of the German Empire’s chancellor, Otto von Bismarck; her daughter Emma Louise (Schultz) Krause remembered Mrs. Bismark would arrive at their house in a Hansom carriage drawn by a white horse. Martin was a mason and brick-maker by profession, and worked at a brick factory owned by the Bismark family; some say he was the factory manager and when one of the Bismark’s visited Martin would give them a tour. Martin was noted for constantly puffing on a long-stemmed pipe which reached almost to his waist. He had been quite seasick on the voyage over complaining it was Henrietta’s fault they were making the voyage. Uncle Herb, my Dad’s brother, related that Henrietta kept a large portrait of Bismarck on her living room wall until it was confiscated during WWI. Uncle Herb also told me when a youngster, he opened the garage door at an uncle’s home and a large artificial horse almost fell on top of him. This was one of the animals on the carousel his uncles August, Herman and Henry Schultz operated in the summer on a vacant lot in Benton Harbor. On the 4th of July they would move it to St. Joseph on the lot where the St. Joseph post office was eventually built. They emigrated with their seven children in 1892 from their birthplace, Gross Tuchen, County Bütow, Pommern to St. Joseph, Berrien County, Michigan. This information about Gross Tuchen, County Bütow was collected by Bill Remus. One of the photos in this link shows a plaque donated by Loraff relatives who lived in Bridgman, Michigan. Great-Grandfather Albert died on September 1922, in Baroda, Michigan, at the age of 77; great-grandmother Tina died in October 1931, a year before my birth. Their son, William, was my paternal great-grandfather. Their son, Alfred Ewald Richard Tollas, is my Father. Grandpa William died before I was born; however, I have a clear mind-picture of Grandmother Hulda just after she died, dressed in black, laid-out on her bed at her home on 712 Kingsley Avenue, St. Joseph, Michigan. She was 65; I was 4-years-6-months. Regarding one of my father’s middle names, Ewald: this was the surname of Hulda’s 2nd cousin, J. Friedrich Ewald, the son of her great-aunt Wilhelmina (Reischke) Ewald with whom they stayed briefly after they arrived in Michigan. His home on Jakway Avenue in Benton Harbor was a temporary way-station for her family as well as others after they arrived from the ‘old country’. I am grateful beyond praise for Cindy Schroeder’s painstaking research into our common Pommern ancestors, with an extended thanks to Bill Remus for informing me of Cindy’s research. The following are my annotated version for: Lohraff Annotated Report; Reischke Annotated Report; Schulz Annotated Report. The information for my Tollas ancestors are located in all of the above. My father, Alfred Ewald Richard Tollas was born 26 March 1904 in St. Joseph, Berrien County, Michigan to William & Hulda (Schultz) Tollas. William was twenty when his parents, Albert and Albertina ‘Tina’ (Reischke) Tollas, emigrated in 1892 from Gross Tuchen, County Bütow, Pommern. They settled in St. Joseph where, three-years later, William married Hulda Schultz in March 1895. Hulda and her parents, Martin & Henrietta (Loraff) Schultz, were also from Pommern; Reinfeld, County Rummelsberg where Hulda was born in 1885. Bremen, Germany to Baltimore, Maryland. They then traveled on to St. Joseph where other Loraff and Reischke relatives had settled in 1857. More information about these ancestors see the Pommern Province, Prussian Ancestors post. Bernard-Tollas Family Tree launched ~ U. S. Naval Station Chapel Washington, D.C. This was the neutral site for our American Melting Pot Lutheran~Jewish marriage. Although our marriage ended due to ‘unhappy differences’ in 1973, we remain friends, delighted & proud to have produced two sons; four grandsons; one great-grandson with a second great-grandson due September 2016. Both our paternal grandparents immigrated: mine in 1891 from Gross Tuchen, County Bütow, Pommern to St. Joseph, Berrien County, Michigan; his in 1904 from Fălticeni, Suceava County, Romania to Chicago, Cook County, Illinois. Genealogical records for both families are scant or missing: my Tollas~Schultz records were destroyed or lost; his Bernard~Fine records because these, like his Romanian ancestors, perished during the Holocaust. However, my maternal heritage records go back as far as the 1500’s and some of them came to Colonial America shortly after the 1620 Pilgrims in what is known as New England: The Great Migration 1620-1640. Bucky and I met at a United Service Organization (USO) event in October 1953 at Silver Spring, Maryland. I was a USO hostess and he was in the U.S. Navy; we married four-months later. A year later our first son, Donald Steven, was born. Then when our second son Mark Alan arrived in 1958, our family was complete.